Salvia hispanica, commonly known as chia, is a species of flowering plant in the mint family, Lamiaceae, native to central and southern Mexico and Guatemala. The 16th century Codex Mendoza provides evidence that it was cultivated by the Aztec in pre-Columbian times; economic historians have suggested that it was as important as maize as a food crop. It is still used in Mexico and Guatemala, with the seeds sometimes ground, while whole seeds are used for nutritious drinks and as a food source. Etymology: The word chia is derived from the Nahuatl word chian, meaning oily. The present Mexican state of Chiapas received its name from the Nahuatl "chia water" or "chia river." 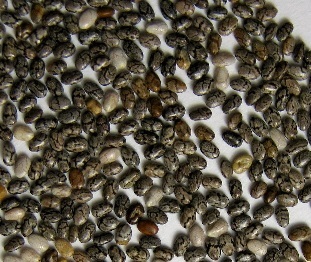 Chia seed is traditionally consumed in Mexico, and the southwestern United States, but is not widely known in Europe. 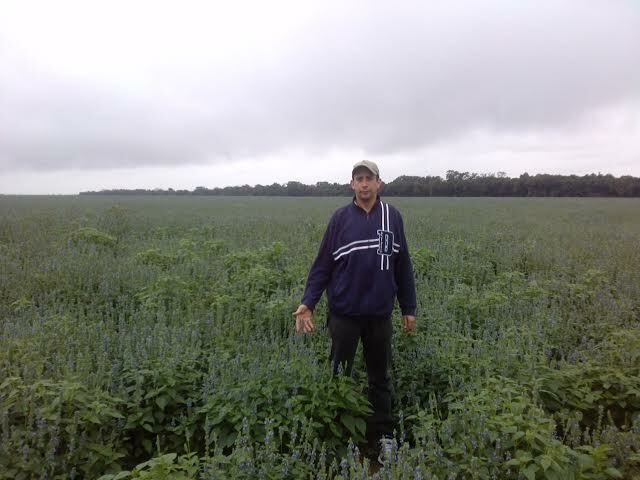 Chia (or chian or chien) has mostly been identified as Salvia hispanica L. Today, chia is grown commercially in its native Mexico, and in Bolivia, Argentina, Ecuador, Nicaragua, Australia, and Guatemala. In 2008, Australia was the world's largest producer of chia. Nutrient content and food uses : According to the USDA, a one ounce (28 gram) serving of chia seeds contains 9 grams of fat, 5 milligrams of sodium, 11 grams of dietary fiber and 4 grams of protein. The seeds also have 18% of the recommended daily intake of calcium, 27% phosphorus and 30% manganese, similar in nutrient content to other edible seeds such as flax or sesame. Although preliminary research indicates potential for dietary health benefits, this work remains sparse and inconclusive. Chia seeds may be added to other foods as a topping or put into smoothies, breakfast cereals, energy bars, yogurt, made into a gelatin-like substance, or consumed raw. Preliminary research: One pilot study found that 10 weeks ingestion of 25 grams per day of milled chia seeds, compared to intact seeds, produced higher blood levels of alpha-linolenic acid and eicosapentaenoic acid, an omega-3 long-chain fatty acid considered good for the heart, while having no effect on inflammation or disease risk factors.